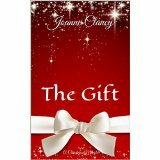 This short, easy to read novella is a predictable, feel-good story for the Christmas season. It took me about 20 minutes to read, mainly because I was rushing to see if there would be a twist at the end or some sort of ‘Aha’ moment, but there isn’t one. The book tells the story of Julie, dreaming of the idyllic Christmas she is about to share with her husband and extended family, and with the new baby she’s expecting very shortly. But suddenly she is told that due to one of her recent blood tests not being what it should be, she needs to give birth earlier than expected, setting off a chain of events that will leave both she and her entire family shattered and devastated. Will they get the happy Christmas they’ve been anticipating? It is also the story of Casey, a sad little girl who grows into a troubled young woman. The author doesn’t focus too much on her, even though she is instrumental to the plot. There is only a brief mention of her problematic childhood and the fact that she’s lost a baby. So much more could have been done to flesh out this character and give readers more insight into her behaviour. There isn’t much else to say about this short story. I did like the format it was written in: broken up into days and times of day, which made it easy to read and easy to ascertain the time frame in which events occur. But other than that, there isn’t much to tell.